We covered about 14,000 miles on this all-driving odyssey and hit 18 destinations with a lengthy stay in Winter Haven, FL., in between – a period during which we tested a number of golf facilities in the Orlando area. All were chronicled in my reports and Joy’s photos. 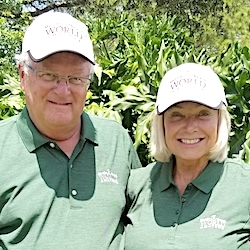 All in all it was a worthwhile, educational and productive journey in which we had lots of fun, saw old friends, made many new ones and hopefully provided helpful information for your golf travels. Here’s a sampling of what’s new for golf travel aficionados, starting with a report from the last of our recent stops — long-time favorite French Lick Resort in southern Indiana. 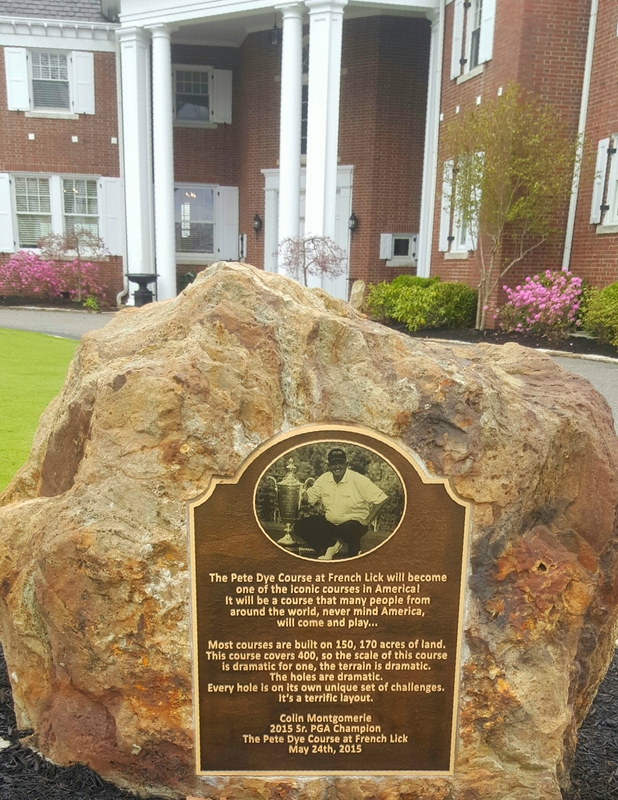 The big news at French Lick has centered on its spectacular Pete Dye Course in recent years, but not this time. 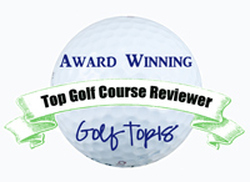 Director of golf Dave Harner and his staff turned more attention to the Donald Ross Course this time. Colin Montgomerie’s win in the 2015 Senior PGA Championship won’t be forgotten at the Pete Dye Course at French Lick. The Ross will also be the exclusive site for July’s Indiana Open, the first time that has happened at one of the Hoosier state’s most historic courses since 1962. Both the Dye and Ross layouts were used to host that tournament in 2012. 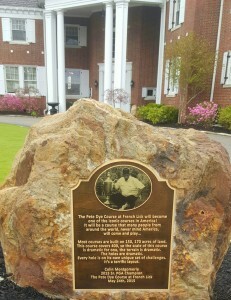 All three French Lick courses will be used to host the Indiana Junior Age Group Championship in July and the LPGA Legends Championship will be the big event of the season at the Dye, from Aug. 19-21. Harner said the fourth playing of that event “will be bigger and better than ever.’’ The pavilion at the Dye Course clubhouse has also been doubled in size to allow for more social events there and the club has a new head professional in Andy Fortner. He moved over from the Ross Course, with Rob Koontz taking over the head job there. A DEAL AT PINEHURST: Want to play Pinehurst’s historic No. 2 course (as well as No. 8) for only $19.75? And, you could play the resort’s other layouts for free – if you opt to join the Private Residence Club at the newest of the Pinehurst courses, called either No. 9 or simply The National. It’s a Jack Nicklaus design. Obviously there’s a catch. You have to buy in to The Cottages at National but this unusual offering is an enticing deal for those able to spend at least three weeks a year at Pinehurst. There are seven cottages, each with either two or four bedrooms, and the Private Residence Club falls somewhere between a time share and home ownership. It’s a substitute for buying a second home, according to creator Dave Hanna. He’s been at Pinehurst since 1992 and can tell you how it all works. 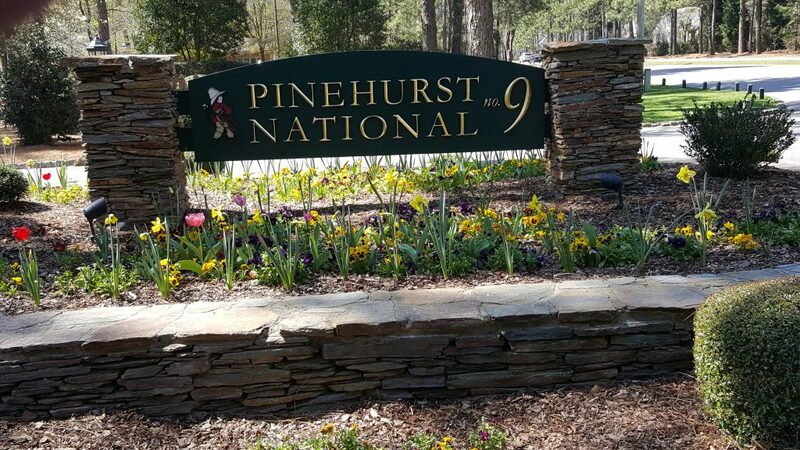 The newest course at Pinehurst Resort is still in the growing stage as far as residents are concerned. MEXICO-BOUND? KemperSports has kicked off a hole-in-one promotion called UNO! Golfers who make an ace at one of Kemper’s participating facilities have a chance to win a seven-night trip for two to Vidanta Resort in Mexico. Vidanta has courses designed by Jack Nicklaus and Arnold Palmer. KemperSports also announced that it has added Mahopac Golf & Beach Club in New York to its management portfolio. IT’S A GO IN KOHLER: Two of the courses are now open in Kohler, Wis. – the Irish Course at Whistling Straits and the Original Championship Course at Blackwolf Run. The Straits Course at Whistling Straits will open later this month. The Original Championship Course – used for the 1998 and 2012 U.S. Women’s Open – will be available through April 22. The Original is comprised of select holes on both the River and Meadow Valley courses. AND ITS FREE: Six courses in Gaylord, Mich., will offer free golf with a paid night’s lodging at one of the participating hotels from April 22-24. The nearby Boyne resorts also are planning some major promotional events to spotlight the 50th anniversary of the Heather course at Boyne Highlands and the 20th anniversary of Bay Harbor. CHECK YOUR WATCHES: The Omni Homestead Resort in Virginia turns 250 years old (yes, even older than the U.S.) this year. To celebrate the resort will celebrate at 2:50 p.m. every day from Memorial Day to Labor Day with the serving a different flavor of cake. 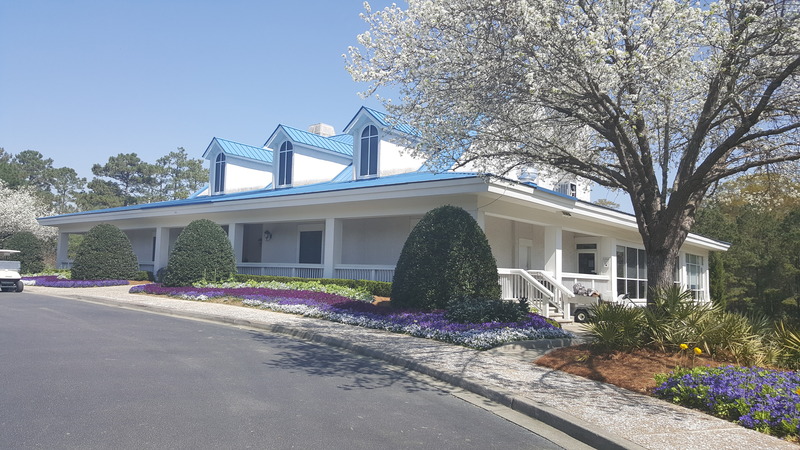 The True Blue clubhouse is one of the most beautiful in Myrtle Beach. COME ONE, COME ALL: Registration has opened for he 33rd World Amateur Handicap Championship in Myrtle Beach, S.C. The event, to be held Aug. 27-Sept. 2, generally draws about 3,500 entrants from all 50 states and some foreign countries. 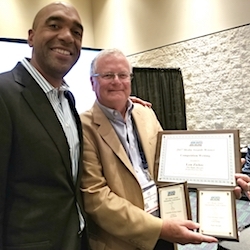 NEW DIRECTION: Reynolds Plantation Oconee, in Greensboro, Ga., has transformed its instruction program. It’s now the Reynolds Kingdom of Golf, presented by TaylorMade and will be a full game improvement facility operated by Reynolds Lake Oconee. Reynolds also announced that it will host one of the premier national junior tournaments, the Rolex Tournament of Champions, from June 28 to July 1. It’s an invitational event for boys and girls in the 12-18 age group. SITE CHANGE: The Web.com Tour Championship has been moved within the Jacksonville, FL. Area. It had been held at Dye’s Valley Course at TPC Sawgrass from 2013-15 but construction on the entire TPC property led to officials looking for a different site. This Oct. 3-9 the event will be held at Atlantic Beach Country Club, a former site of the PGA Tour’s Greater Jacksonville Open. Chambers Bay, the 2015 U.S. Open site on Puget Sound, was the toughest course we played.